At first the components are a little fiddly. I love the fact the GoPRO is so compact, lightweight and small but for those of us with big old clumsy fingers getting the thing in and out of the housing is a challenge. The head-strap attachment is great but really does not allow too much movement without the camera then flipping and ending up facing downwards. Also well worth checking in a mirror that the thing is on straight. There are a lot of small attachments so worth investing in somewhere safe to keep everything organised. Getting the GoPRO out of its box a challenge in itself! So many that it is hard to list even though I am only one week in but I will give it a go. Brilliant for getting footage in otherwise challenging situations. I cannot yet afford the recommended LCD screen but even without this have managed to shoot some great film footage off the back of a motorbike, in the sea and walking around the streets of Freetown in Sierra Leone. I have used handheld options, the head-strap mount and the float mount (which I bought separately). Small, lightweight and easy to slip into a pocket. The housing for the water worked well with no issues. The battery life is perfectly adequate for what I am doing. I hear that on the Black 3+ it is better than other models. I cannot comment on that but for me it has been fine. The time-lapse option is great and I intend to shoot a sunset tonight to really test this out further. The extreme wide-angle shooting option for both video and camera is effective and has meant some fantastic cityscapes off the back of a motorbike. I can see me using this all the time alongside my Canon 5D MkII to capture a different take on things. Especially for my sea based shoots. Cannot wait to get out there on a surf board with this! I will feedback more in the future and will add some footage (when I am more confident with the equipment) but for now I am happy to recommend this to anyone who is thinking about it. Having lots of fun with my new tech toy! 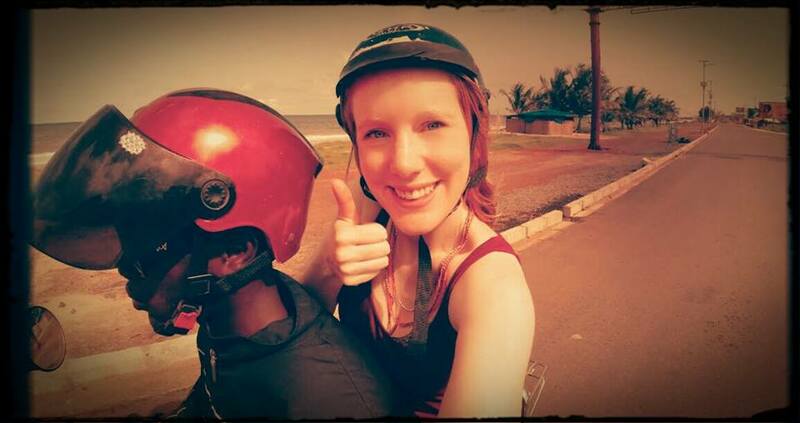 Shot with the GoPRO camera as I filmed the streets of Freetown! Two selfies in under a month. Not like me at all!